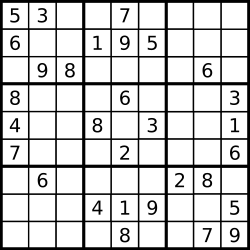 Write a program to solve a Sudoku puzzle by filling the empty cells. Empty cells are indicated by the character '.'. You may assume that there will be only one unique solution. 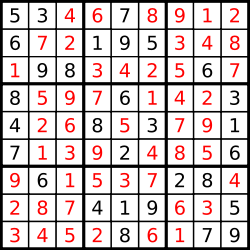 …and its solution numbers marked in red.